Located in the heart of Nashville, Tennessee, Vanderbilt offers undergraduate students a unique blend of excellent academic offerings, an exceptional urban environment, and a community steeped in tradition and enmeshed in state-of-the-art research. Students enroll in one of four undergraduate schools: College of Arts and Science, School of Engineering, Peabody College of Education and Human Development, or the Blair School of Music. Students have easy access to all four schools, taking classes and double majoring or declaring minors across many disciplines. 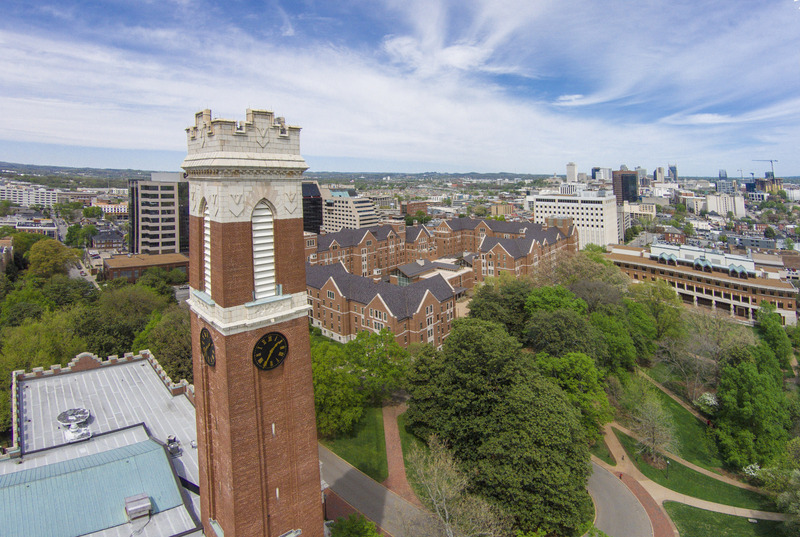 Vanderbilt is also home to six graduate schools and programs, all located on one contained 330-acre campus known both for its natural beauty and urban setting. The Martha Rivers Ingram Commons provides first-year students with a unique house-based living and learning residential experience and fosters easy dialogue between students and professors and among students from diverse backgrounds. Vanderbilt’s exceptional academic and co-curricular programs include conducting research through one of 120 research centers, exploring distant cultures through study abroad, participating or leading one of over 300 student-led organizations, or attending NCAA Division I athletic events. Our students graduate not only as experts in their chosen field or fields of study, but also as individuals well prepared to lead. Students understand that the value of their Vanderbilt education will be measured for years to come, not only by how they advance in their careers, but also by the myriad ways they make a difference.